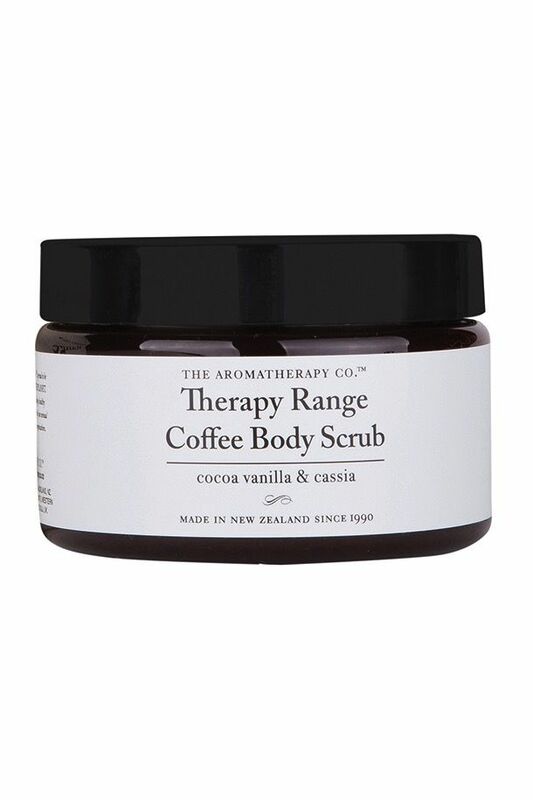 An exfoliating Coffee Body Scrub blended with the essential oils of Cocoa Vanilla & Cassia with coffee to rejuvenate and polish the skin. Cocoa & Vanilla are warming and stimulating while the pure essential oil of Cassia can refine and brighten the skin. An exfoliating Coffee Body Scrub blended with the essential oils of Cocoa Vanilla & Cassia with coffee to rejuvenate and polish the skin. Cocoa & Vanilla are warming and stimulating while the pure essential oil of Cassia can refine and brighten the skin. Coffee has natural antioxidant properties which can help target cellulite and other skin ailments such as stretch marks and dryness. Blended with Grape Seed Oil and Bees Wax to help remove dead skins cells and reveal supple, glowing skin and infused with Coconut Oil for its healing and toning abilities. This enriched formula can remove dead skin and encourage skin regeneration, leaving the skin feeling buffed and smooth. This Coffee Scrub can tone your skin leaving it feeling hydrated and nourished. For best results use this product 2-3 times per week.